"set in concrete" implies that something is permanent, which means that when you install concrete it has to be done right the first time. Most property owners use choose concrete installation for driveways, foundations, patios, sidewalks due to how inexpensive it is. Its very quick and the final product requires very little maintenance. If you are not a fan of the standard dull gray color, then it can be died stamped and decorated to make it more attractive. Monster's contractor has the skills an the know how to get your concrete installation Sacramento done right. We have all the materials to get the job done right the first time. Are you a resident of Sacramento searching for an affordable concrete contractor for concrete installation? Well, you have reached the right place here. We are one of the most reputed among concrete installation Sacramento companies, with years of experience and thousands of satisfied clients. If you are searching for the best in Sacramento concrete installation, here’s how we can help you. Here we discuss how the concrete installation process is carried out by our highly professional team and why choosing us for concrete installation Sacramento CA would be a wise option. 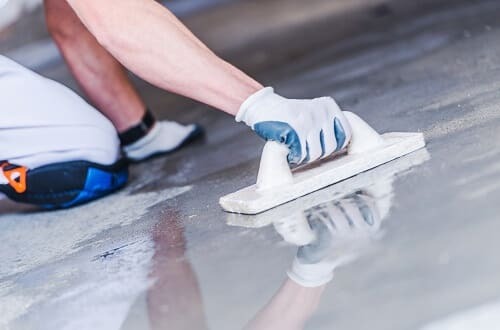 We, Monsters Concrete Sacramento, are a complete solution provider for any of your requirements linked to concrete floors from concrete removal to installation include all kinds of concrete repair. Indeed, we top the list of reliable Sacramento concrete installation companies, and it is because of the dedication and perfection towards our work. First of all, you need to hire the service of the best in town in reliability and expertise, so that you can be assured of superior quality installation. Before the hire the service, do a proper check-up about the location along with the contractor so that there would not be any confusion about the job to be done. It is always good to compare the rates of the concrete contractors in your place and then reach on an affordable yet quality installation contractor. In the next step, the sub-base for the installation of concrete is prepared. Wood or metal can be used for concrete forms, once the sub base is formed. As a further step, the concrete placement, which is another significant part of the concrete installation process, is performed. 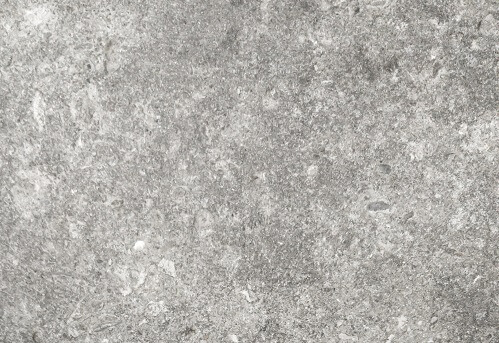 Concrete is a mixture made out of gravel, sand, water and cement powder. The mixture itself has to be prepared in a certain proportion, especially the water level, to get the desired output. After the laying process, finishing work will be carried out, which also have certain steps. The leveling process is yet another significant step which requires expert hands. Your choice may be stamped or broom finish as per the purpose of the concrete floor. Certainly the beautifying process marks the beauty of the whole concrete install process. There are many options for house owners to add to the beauty of the concrete floor. Apart from choosing the texture and style, you can also choose a favorite color which would go well with the building and landscape. Finally, a sealer is used on the concrete floor to add to the durability of it. Also, it will give a glossy and attractive appeal to the floor. If you are anywhere around Sacramento area, you do not need to get confused about any of these aspects as, Monsters Concrete Installation Sacramento, the oft-recommended company, among Sacramento concrete installation, is just a call away to assist you. You can relax as we are here to take the whole responsibility of concrete installation in and around Sacramento. Why you should call Monsters Concrete Sacramento? Looking for who is best for concrete installation Sacramento? We are here. Monsters Concrete Sacramento, a company headquartered in Sacramento in California, has been assisting hundreds of clients each year providing all types of concrete floor services. Our services, including concrete removal, concrete installation, concrete replacement, concrete repair among others, are available throughout the Sacramento area. When it comes to installing concrete Sacramento, we are often recommended for our superior quality service. Over the years of committed service, we have been regarded as the name synonymous with reliability. Our passionate team workers are dedicated to providing you the best of services. We have people up to fifty years of experience in the concrete construction sector, which make us proud of the expertise of our team. From the planning stage to the final level, our passionate team of professionals supports you with their expertise in creating the floor you want in driveways, walkways or garage, without compromising on the aesthetics of the property. There are no additional labor costs, nor do we put any hidden charges, when you want incredible services on concrete install Sacramento from us. It explains we are the most affordable and reliable company for any of your concrete services. We are devoted to making our clients happy by giving utmost importance even to minute details during the concrete install process. This applies to every property and client, we deal with. Moreover, we make it sure you get the value of the single penny you spent on the concrete install process. We do not compromise on the quality of materials used and will make it sure that the aesthetic appeal is maintained on the site. All these factors together explain the inclusion of hundreds of clients to our list of clientele year after year. Concrete install is a job that needs to be done by experts, or else the job may lack perfection. That is why, Monsters Concrete Sacramento, make a great choice for concrete install Sacramento CA. We assure you timely work completion, that too in the best quality manner. Client satisfaction is given utmost importance and we value the trust you keep on us. When you think of hiring service from a dependable Sacramento install concrete contractor, remember we are just a call away. Get in touch with us anytime for a free quote or advice related to concrete installation Sacramento CA, and we would happy to give you any information and provide you our services. Warning to people who want to install their own concrete. If you so decide to take on this project your self, know that it can be a tricky chore. Make sure to do all your own prep work with the appropriate calculations to make sure that the concrete sets when you want it to. If you are facing a large project it is not recommended to hand mix your concrete as it will not set right if you need to do several "loads". Which is why it's a good idea to have a delivery company bring the concrete to you "ready to pour". Once the concrete has been poured you have a time limit before it starts to dry. Make sure you are prepared when the cement truck gets there. If you require that several delivery trucks come to your property. If you are not prepared and a truck has to wait. You will be charged for the time. Laying the groundwork is a very important step to concrete installation Sacramento, so it is always recommended that it is done by a professional who has the experience in the pre-planning stage. You will need to make sure the soil is tamped and compacted. It also needs to be sloped and graded to allow for drainage. Wooden forms must then be constructed to set in place for the pour. 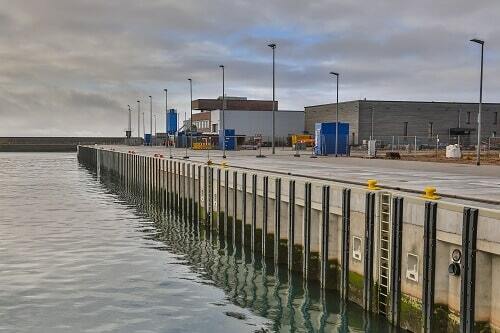 If you are starting to think that this project might be too big for you then give us a call. Cement structures are known mostly for their toughness, they can receive a lot of wear and tear from foot traffic and vehicles. The best cement to use for such scenarios is air-entrained cement, in combination with re-bar grids designed to reinforce the concrete which will strengthen the sub-structure. Concrete is made up of sand, gravel and cement powder. Once this powder is wet it turns into a type of glue that holds it all together. Its ideal to have a cement delivery company prep the mix, so when it arrives it is already the appropriate thickness. The right amount of water should be added to the mix so that it pours easily and isn't to wet. Laying concrete is grueling work. It's messy and heavy and if it starts drying to quickly, you can be in a world of hurt. If it's a sidewalk or driveway you may be able to have the truck pour directly into the forms. If not you may have to wheel barrel it to the site. If your going to be installing concrete yourself it is recommended to do it on a cool dry day. If you have been thinking about concrete installation Sacramento lately then give us a call for a free estimate. You won't be disappointed. There is no need to mention that the concrete installation is a time consuming and challenging job which requires expert hands, in order to be perfect in aesthetic appeal and structural quality. Installation process needs to be carried out effectively or else it will reflect in future. Concrete installation requires different steps and there are many factors to be considered before the process. The quality of materials used in the concrete mixture needs attention as it decides the durability of the concrete structure. The temperature of the place should also be taken into consideration.